Many elements can make food a pleasurable discovery rather than simply something to eat. 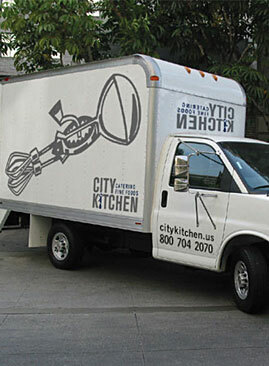 At City Kitchen, we dedicate ourselves to produce the highest quality and most innovative items for your event. Not only are we providing our clients with delicious food but a creative expression that will heighten the joy of your guests. Precise and exceptional. These are words that come as second nature to our dedicated staff. Our staff takes great pride in the individual effort of providing service that brings a worry free smile to you. 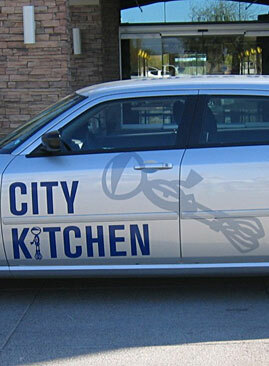 City Kitchen excels in the opportunity to make our fine food the focal point of your event. ©2008 CK Franchise Systems Inc. All rights reserved. 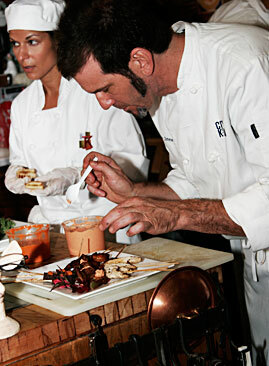 City Kitchen Executive Chef John Castillo comes from a three generation love affair with food. After some successful time in family businesses, John furthered and diversified his culinary knowledge by gaining classical European training and working for some large catering and hotel groups here locally. 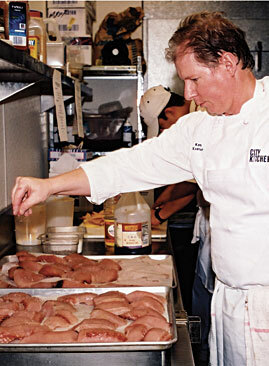 Johns passion for cooking started with his apprenticeship with great Dallas area restaurants like Old Warsaw, The Adolphus French Room, and Arthurs Steak House. He then spent five years at two of Atlantas best trattorias, Beni Vedi, Vici and Azios. John then returned to Dallas to take catering chef responsibilities at Etzis Market and Bakery. Since joining City Kitchen, John has been instrumental in building City Kitchen into a successful catering and food service company. Scott and Steve both were both searching for the same thing, even though they didnt even know each other at the time: how to get off the working for someone else treadmill. While pursing separate but somewhat parallel paths in discovery, City Kitchen emerged as a fun, solid business that fit each of their needs  great food, great business model, great long term growth potential. Today, as partners in City Kitchen, Scott and Steve are happy to see the fruits of their efforts enjoyed by many satisfied customers in the Fort Worth and Dallas metroplex.